DETECTING EARTHQUAKES 24 HOUR IN ADVANCE! IMPOSSIBILITY? Its already been done! Please! 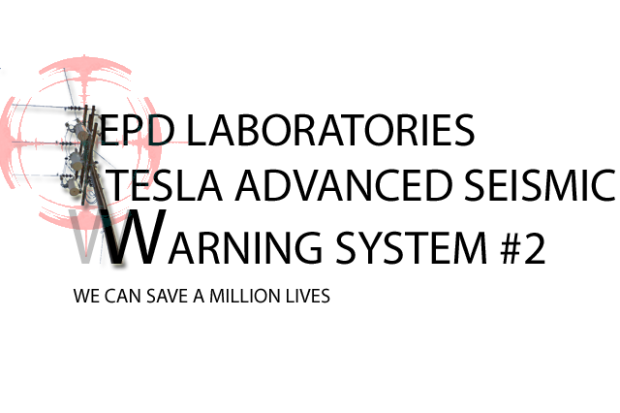 Help EPD LABS! The system utilizes advanced radio techniques from the turn of the 20th century to effectively map , graph and predict precisely and accurately earthquake and tsunami disaster events. The technique and scientific method is solely based on the electrical "sounds", or waves, emitted from the pre-disaster tectonic activity, received by the large antenna fields. In order to do this an apparatus of extreme sensitivity consisting of several antenna fields are utilized. Over the last year we have been installing and wiring the antenna system and can report that our progress has advanced, significantly. Please take the time to take a look and listen to the telluric message. Here is an opportunity to engage in the researches of Nikola Tesla, and for it to save lives, I cannot think of a more worthy cause than that.